Our mission is 100% customer success, and our customers are at the heart of everything we do. Through our portfolio of leading enterprise software solutions, we ignite better business performance for more than 1000 customers around the world. And we’re doing it in a global ― entirely remote ― workplace that is focused on building teams of top talent, and operating in a business model that provides challenging career opportunities, combined with personal flexibility, to support both professional and personal goals. Our focus is on earning our customers' business every day, by helping our customers be more successful, every day. We innovate and invest in our solutions and programs to advance digital transformation strategies and ensure customers receive maximum value from their Ignite investment. Our world-class consulting and support services are delivered by global teams who have deep product, business, and technical expertise. Through a multi-channel model, we augment skills and expertise, accelerate projects, and provide software that exceeds customer expectations. We build our organization from the top 1% of talent across 130 countries. Through a rigorous recruitment and screening process, we ensure we have the best talent to delight our customers. Since 2000, we’ve been proudly serving our customers who are recognized innovators in their industry: finance, technology, healthcare, media, industrials, publishing, government, professional services, energy, hospitality, and retail. If you want to work hard at a company where you can grow and be a part of a dynamic team, join Ignite! A career with Ignite is challenging and fast-paced. We are always looking for energetic and enthusiastic employees to join our world-class team. We offer opportunities for personal contribution and promote career development. Ignite is an Affirmative Action, Equal Opportunity employer that values the strength that diversity brings to the workplace. All applications are managed through our partnership with Crossover. Big Lots already had basic search and results pages, but they wanted detailed landing pages for each store location. Read more to learn how Ignite’s Placeable team created local landing pages for each of their 1400+ locations to maximize their SEO impact and improve the online experience for their customers. Once we deployed ScaleArc’s software, we were able to handle a high volume of queries, without changing our applications. I knew I had finally found the right solution when we had our biggest sales day on record and I didn’t receive one support phone call. It was as if ScaleArc was magically managing everything for us – keeping our applications up and running and our customers happy. In the past, the company’s current SQL database infrastructure would be overwhelmed by the increased load, resulting in poor performance, downtime, and a loss of ticket sales. To handle the onslaught of traffic and keep pace with an overall increase in demand for its ticketing services, BookMyShow sought a solution that would scale the database infrastructure to keep up with customer growth. Learn how ScaleArc provided an immediate boost to BookMyShow’s database capacity, allowing the company to handle the bursts in traffic such as those driven by blockbuster movie events and drove more transactions to completion enabling BookMyShow to manage over 400 million page views per month. Dalkia’s recent growth has been amazing, and with G2 Enterprise we are in a position to provide the high level of service our customers deserve. Optimization of our application built on G2 will allow us to reach new heights globally. By implementing G2 2011 Enterprise and evaluating all the ways the Dalkia expert system could be improved, Gensym was able to significantly optimize loading time and substantially reduce downtime. Today, a group of 1300 sites that previously took 3 hours to load can be loaded in 1 hour with G2 2011 Enterprise. On an even grander scale, a group of 5500 sites that once would take 13 hours to load can now be loaded in 2.5 hours, an 84% improvement. Read more to learn how Dalkia significantly improved its business continuity. Rerouting crew members during irregular operations is a daunting task for any airline due to the significant amount of data that needs to be analyzed and acted upon. More than a decade ago, Delta uncovered a major opportunity to improve this mission critical operation. Learn how they are using Ignite’s ObjectStore to quickly reroute crew members during unforeseen weather, mechanical and other challenges — and ultimately improve the customer experience. As a marketing team, we do a great job of filling the top and bottom of the lead funnel, but needed a way to elevate DNN’s most valuable leads, rather than throwing everything over the wall to sales. Infer helps us focus on the ‘best’ leads – those who look most similar to our existing customers, as well as those exhibiting strong indicators of buying interest – and as a result, we saw a 25% increase in overall conversions in just our first month on the platform. Franck Ardourel - Director of Marketing, DNN Corp. Learn how DNN uses Ignite’s Infer predictive analytics to increase lead to opportunity conversion by 25%. An increasing challenge for the D&B team was to take social and web data which is unstructured, structure it in a way that it’s meaningful to their customers, and merge it with the data that D&B already has so that it could provide very actionable insights. Johannes Kamleitner, SVP & Chief Revenue Officer at GFI details the success they have experienced with Ignite’s Platinum Support Program. Our operational databases did a good job of housing our day-to-day data, but they weren’t able to scale up to the data loads and query volumes we need for an analytics solution. The company needed an integrated analytic database to manage all data — regardless of its source — as well as enable fast, flexible analytics for customers and internal analysts. With five acquisitions since 2011, fast-growing HelloWorld needed to integrate several disparate data marts. Customers and analysts found it cumbersome to perform analysis across the various platforms, which limited insight into total campaign performance. As data volume increased, data upload times and query performance suffered as well. Learn how Infobright DB helped HelloWorld customers and analysts cross-analyze any data any way they chose and drill down in unprecedented ways and segment prospects more accurately, even as the data is being continually refreshed in near real-time. Query time is amazing. Infobright is simple, stable, and fast; just plug and play. With Infobright, we saved the cost that would have been required to hire Hadoop/Impala expertise to optimize the environment. We can safely say that we continue to save $100,000 per year. Maximizing efficiencies in all environments, Impact Radius utilized the in-memory metadata layer in Infobright DB to drive fast, ad-hoc analytics. This self-generating layer removes the need for indexes and the costly “DBA tax”, all the while providing best in class analytics using premium data technology stacks. Learn how Impact Radius utilizes Ignite’s Infobright DB to provide customers with sub-second query response times to analyze the effectiveness of digital campaigns and marketing spend while scaling horizontally with their MPP configuration. 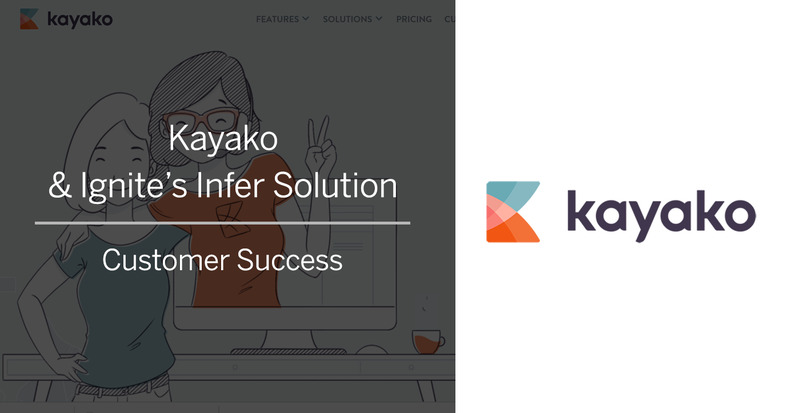 Learn how Ignite’s Infer Predictive Scoring increased visibility into Kayako’s lead generation efforts, and the ability to focus on specific target segments. In searching for a new solution to replace their relational database, Lombard Odier chose Ignite’s ObjectStore PSE Pro solution. Back in 1996 and even still today, PSE Pro was far ahead of all competitors because they had found an alternative to classic storing of data in relational databases. This was the beginning of a long term partnership between Lombard Odier and Ignite. Read more on how ObjectStore helps assemble thousands of portfolios in real-time, calculating and re-calculating what will make the most sense for individual clients and an entire book of business. When we sustained a sudden hardware failure, which caused a hard shut down of our primary SQL Server node without warning, ScaleArc instantly load balanced the reads to the remaining servers and buffered the write requests while the SQL cluster passed Primary to another node. The recovery was fully automatic - there was no outage, no dropped sessions, and no tangible customer impact. Impressive. Mouser needed strong failover not just within one data center but across to its second data center. The ScaleArc software automates and accelerates the failover process for unplanned server failure by effectively steering and load balancing traffic across both data centers and allows Mouser to avoid application errors. Learn how ScaleArc ensured Mouser’s eCommerce website serves global customers 24×7 and with zero downtime maintenance. Ignite’s ScaleArc solution enables Nasdaq to migrate thousands of databases and applications from a legacy network to a new infrastructure without delays or downtime. We are very satisfied with the ETI upgrade – both with the product quality and the close relationship we built with our ETI team. We know that we can trust ETI to meet Société Générale’s needs now, and throughout our future together. Like other international banks, Société Générale works with massive data transfers every minute. Hundreds of translations must be regularly synchronized without incident between host computers and other existing databases in several programming languages. To meet this challenge, the company has turned to Ignite’s ETI Data Integration and Transformation solution since 1999. 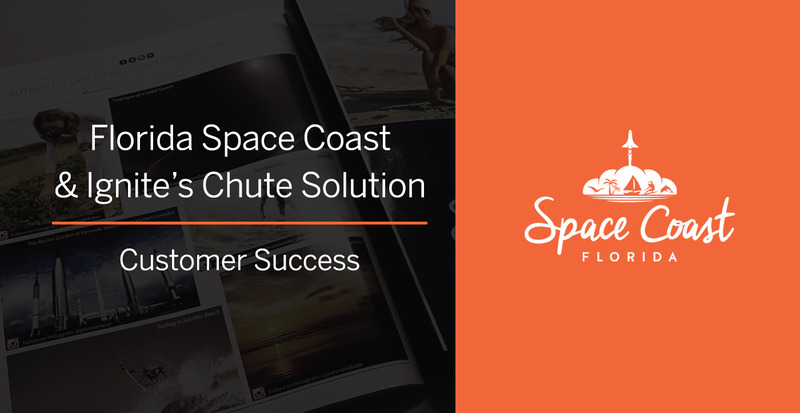 Learn how Florida Space Coast partnered with Chute to use UGC in interesting ways to engage visitors. 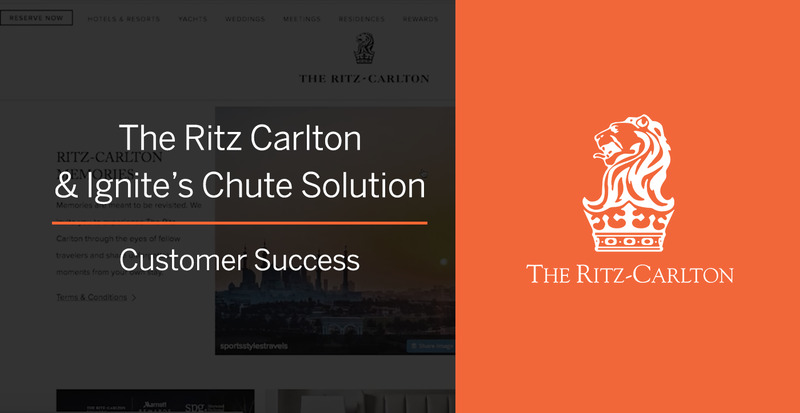 Hear first hand why The Ritz-Carlton chose to partner with Chute to build customer content into all of their hotel websites. The team at Wyndham Vacation Ownership explains how Chute helps them manage visual content across many different brands. Davin Cushman is a highly energized general manager with an obsessive focus on finding, organizing, and engaging people around the world to deliver customer success. As the CEO for Ignite Technologies since 2010, Davin motivates and enables the global Ignite team to drive the Company’s growing, global business to success. Davin started his career as a Marketing Associate creating demand for early Java-based eCommerce solutions at Trilogy, the founding company which transformed into ESW Capital and its family of companies including Ignite Technologies. Davin then served as the Talent Director for Trilogy and affiliate pcOrder.com, during a period of rapid recruiting, sourcing and on-boarding global technical talent. Davin then served as the Operations Analysis Director for Capital One, directing implementation of analytics and business intelligence solutions for workforce analytics. Davin earned an undergraduate in politics and economics from Princeton University, and an MBA from the Kellogg School of Management, Northwestern University. Outside of Ignite, Davin spends time coaching and supporting youth sports for his three great kids. His family also donates time to the Refugee Services of Texas, helping newly arrived refugees establish themselves in the Dallas, Texas area. Ali Alauoubiy provides leadership for the continued development of an innovative, robust, customer-centric and secure information technology environment for Ignite Technologies products portfolio. Prior to Ignite Technologies, he was Chief Technology Officer (CTO) and an Executive Director for Mubasher Financial Group/DirectFN and Thomson Reuters Middle East, Africa and Russia/CIS. He was also Head of Digital Transformation for Emirates airline, VP of Platform Architecture for Credit Suisse. Ali achieved a Bachelor of Science with honors in artificial intelligence and computer science from the University of Birmingham, he also attended executive courses at INSEAD and Said Business School, The University of Oxford. Currently, he is undertaking an Executive MBA at Judge Business School, the University of Cambridge. Vitaly Bondarenko is a manager focused on a quality his team delivers to clients. As Ignite’s Vice President of Engineering, he implements the best corporate quality standards and methodologies in his development organization, ensuring 100% customer satisfaction. Short release cycle and fast reaction to clients needs immediately bring business value to each client of Ignite. Vitaly started more than 20 years ago as a software developer, designing web software and enterprise systems. Working for Flextronics he stepped up from team leader to engineering director positions, managing multi-million outsourcing contracts. In Frogdesign, Vitaly built an innovative process of delivering conceptual design through software system implementation to the market and led as a general manager one of the frog’s design studios. Joining ESW Capital in 2018, Vitaly took over Ignite’s engineering team and software products. He performed several successful acquisition and integration projects, growing the company’s revenue and customer base. Vitaly holds a degree in computer science from Kyiv University, having taught mathematics and programming there for more than a decade. Bernard Chaval is a leading advocate for corporate performance as a system, with a clear emphasis on business control. As Ignite’s VP of Solutions Consulting, Bernard is leading the delivery of comprehensive subject matter expertise and consulting services for Ignite’s business solutions. Bernard and his team of Solutions Directors are focusing on driving 100% Customer Success by establishing a high level of trust and confidence through long-term relationships with internal and external customers. Bernard has over 25 years of management and consulting experience, deploying financial control solutions to Global 1000 companies and delivering value for clients, by improving their ability to measure performance across their entire business. Bernard has combined his deep financial expertise with his experience in business strategy deployment, to manage large-scale, enterprise-wide programs that have accounted for over $500 millions in client profit improvement across multiple industries. Bernard has an M.B.A. and an M.S. in information systems from Boston University, with a bachelor’s degree in economics from Louvain University. The highest point in his life was actually the lowest, when he climbed down a cave and reached one kilometer deep below the surface of the earth. With over 20 years of international product leadership experience, Greg’s career spans executive roles in Ireland, France, the UK, and the United States. After a stint in Paris at Cisco Systems Europe, in 1999 Greg co-founded and managed the UK operations of Sevina Technologies, an e-CRM provider and early adopter of Microsoft’s .NET technology stack. After the .com bubble burst, Greg moved from Sevina to managing a spin-off division of Cambridge based i2, successfully launching a new suite of network analysis and data visualization tools helping customers solve the problem of online data overload. After i2’s acquisition by Choicepoint in 2005, Greg accepted a VP Product Strategy role at ChoicePoint Government Services and relocated to the US where he served in that capacity until the company’s acquisition by Thomson Reuters in 2008, moving to Thomson Reuters Government division to head up Product Development. In 2010, Greg co-founded Brandify and as CTO built out a new cloud-based platform to help multi-location brands manage their online presence. Greg joined Ignite after Brandify’s acquisition in 2014. Outside of Ignite, Greg’s passion is the outdoors and, on weekends he can frequently be found by a lake or river with his three daughters and fishing rod in hand. Massimo del Vecchio is a senior executive with 20 years of experience managing software solutions across Telco, Automotive, and Retail in Europe, the US, Middle East, and emerging markets. In his current role as Vice President of Engineering, he is in charge of our product portfolio, maintaining and evolving a high-quality platform while leveraging our central software factories. Massimo earned his masters from Politecnico di Torino and has a B.S. in electrical engineering from Università degli Studi di Cassino. After spending many years competing in track and field events, Massiomo has now become a Sunday runner but still enjoys participating in the occasional competition. Rob Franks loves to take on the most challenging problems and solving them with people, process and technology. As Ignite’s VP of Operations Rob focuses on integrating the new companies we acquire and making our customers super successful. Rob joined Ignite with extensive operating experience in companies large and small. He started his career at Procter & Gamble in marketing and transitioned to technology. He has led multiple small fast growth technology companies as CEO and COO. He now focuses on building teams and process at Ignite Technologies. Rob has an MBA from Boston University and a bachelor’s degree from LaSalle University. Rob likes to fly planes and cook great food for fun. Paaras Kumar is a technologist at heart with a passion to deliver real and tangible business value through cutting-edge Enterprise software and service. As Ignite’s VP of Solutions Innovation, Paaras drives the global pre-sales and post-sales solution engineering teams across all of Ignite’s portfolio of products joining the Company’s focus to drive 100% Customer Success. Paaras’ career spans over 18+ years of technology experience as a developer, user and corporate enabler of Enterprise software and hardware, starting his career as a Software Engineer at EMC Corporation in Hopkinton, Massachusetts, designing embedded RAID-based storage controller software. From there, Paaras transitioned his career into IT governance and vendor management at global telecom provider Airtel, with responsibilities for scoping, negotiating and managing billion-dollar IT contracts. Joining Ignite in late 2011, Paaras has served in several different functions spanning product management, support as a portfolio CTO for several products, and leading engineering as an accountable executive for delivery of new technology and IP. Paaras has an MBA in finance and marketing from the Indian School of Business (ISB), along with degrees in computer science and physics from Brandeis University. Paaras enjoys hitting the trails over the weekends with a newly acquired penchant for mountain biking. Prashanth Mamilla is a senior technology leader with 20 years of experience in managing Technology and processes. As Ignite’s VP, SaaS Ops, Prashanth is responsible for the technology infrastructure and support operations. Prashanth has rich experience in the area of Systems Architecture, Engineering and Integration coupled with a deep understanding of Agile and DevOps principles. Prior to joining Ignite, he led large teams in technology domain for Fortune 500 companies like Deloitte, Capital One, Comcast and others. Prashanth has an MBA in international business from Goldey-Beacom College and a bachelor’s degree in engineering from Nagpur University. He loves traveling and biking with his son. Kristin Oelke is the Vice President of Marketing for Ignite Technologies. She is responsible for linking the innovations of the company’s products to the customer-focused operations of the business to build the Ignite global brand. Kristin joined Ignite in 2018. She has broad technology and B2B marketing experience through her leadership roles in marketing strategy, digital and demand generation marketing, and corporate branding and communications where she’s been responsible for evangelizing the software, hardware and networking innovations of the past two decades. Prior to Ignite, Kristin held executive marketing positions with Software AG, Micro Focus, Ericsson and Sun Microsystems. Kristin holds a master’s degree in communications and a bachelor’s degree in journalism from Eastern Illinois University, as well as executive program certification in marketing from Georgetown University. Andrew Price is an innovative financial and technology executive responsible for Ignite’s global financial operations including accounting, tax, treasury, financial planning, and M&A. As Chief Financial Officer, Andrew is a critical member of the executive team charged with executing Ignite’s strategy of profitable and sustained growth. Andy earned a BSEE and a B.A. in computer science from Rice University. Eric Vaughan is an experienced technology and M&A executive recognized for his innovation in the enterprise technology space. As Chief Operating Officer, Eric is accountable for Ignite’s Operations teams including Professional Services, Project Services, SaaS Operations, Central Support, Business Operations, and Product Management. As the founder and CEO of 3 software and services companies centered around IBM’s enterprise technology business, Eric is well known throughout the industry as an innovator, architect, and developer of a number of software, hardware, and integration solutions. Following the exit sale of his last technology startup, Eric served as the Chief Integration Officer for the acquiring company, where he led teams through the full cycle of activities to close over 20 M&A transactions including public-company buyouts, private equity/venture capital sales, and several divestiture transactions from IBM, with direct integration and general manager accountabilities for the acquired businesses post-close. Eric is a frequent and noted author in industry publications including featured columns for executives in the enterprise software industry, and is a highly regarded speaker and thought leader on IoT, Cloud Computing, telecommunications and modernization of enterprise applications. Outside of Ignite, Eric has been an avid runner, completing 28 marathons and over 50 ultramarathons, including nine 100-mile endurance trail races. Michael Fleishman is a client-centric executive with a passion for distilling complex technology into meaningful solutions. As Ignite’s Chief Customer Officer, Michael is responsible for delivering on Ignite’s global revenue targets as well as for the creation and execution of Ignite’s sales and customer strategies. Michael has over 20 years of sales and sales leadership experience in the technology space across multiple industries with both on, off and near shore experience. Michael spent most of his 20 years at IBM where he held numerous sales and sales leadership positions across IBM’s entire portfolio of hardware, software and service solutions. Most recently Michael served as the President & GM for the Americas for BAE Systems’ Applied Intelligence Cybersecurity division. In this role, Michael led a team of 300+ sales, pre-sales, inside sales, marketing, consulting and delivery to drive $450m of revenues for the Division, contributing a profit of $86m. Michael holds a bachelor’s degree in aerospace engineering from Boston University and a Masters of Science in management and technology from Rensselaer Polytechnic Institute. Michael enjoys spending time with his family as well as snow skiing in the winter and geocaching, hiking and metal detecting in the summer. Paul Foreman has responsibility for Ignite Technologies’ enterprise customer management function. His team is focused on ensuring Ignite’s customers achieve every ounce of success from the solutions they have invested in. A 30-year veteran of the technology industry, he has developed and executed strategies for success in a number of global markets. Paul is equally comfortable in the fast pace of the startup world as well as the more structured enterprise. His career spans service at Rank Xerox (UK) Ltd, the UK subsidiary of Xerox Corporation, where he performed a number of senior sales and marketing roles involving Xerox’s advanced product ranges and Dell Technologies. As Vice President of Dell’s Enterprise Systems Group, Paul had responsibility for the sales of server and storage technology across the small and medium business sector accounting for over half of Dell’s US unit sales. His success allowed Dell to grow to become the number one volume supplier of servers in the US. More recently Paul has been an angel investor and adviser to Austin’s early-stage business community and has performed a number of consulting engagements focused on enabling sales success for both startup companies and corporations evolving new sales models. Paul was born in the UK and is a naturalized citizen of the USA. He holds a bachelor’s degree from the University of West London. Residing in Austin, TX with his wife, family, and dogs, Paul enjoys the local music scene, restaurants and trails. Jennifer Plumondon is an accomplished Sales and Customer service leader with over 18 years of progressive experience driving the performance of technology-driven businesses and solutions. She has developed a strong business acumen through working with tech startups right through to large enterprise organizations. Her mission and that of her team are to drive the client journey to be as smooth as possible and that customers are getting ongoing and increasing value from their solutions over time. 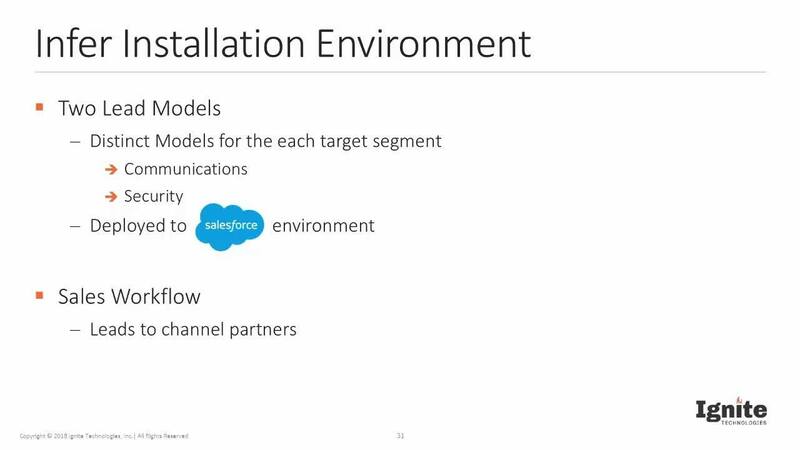 That means working right alongside every customer as they move through their journey from acquisition, to onboarding, through adoption and value realization. Being how passionate Jennifer is about communications it was only fitting that she attended college and became a Graduate with a B.A in Communications. Jennifer has a passion for the more ridiculous and extreme sports and worked with other students to start a committee for the Carleton White Water Club where we spent our down time riding the waves of the Ottawa River. Today she can be found playing with her two little girls and going on wild adventures with her family. Snehal Talati is a customer-success driven executive with a passion for creating maximum business value that is both measurable and actionable. As Ignite’s Senior Vice President and General Manager, Corporate Performance Management Solutions, Snehal is responsible for sales, business development, professional services and customer success delivery for Ignite’s Corporate Performance Management business. As a hands-on senior executive with 20 years of experience in developing and implementing strategic business programs, improving business performance, and advising clients to help them improve financial performance, Snehal is passionate about exceeding customer expectations where he has been ultimately responsible for delivering multi-million dollar solutions for hundreds of Fortune 500 clients across a variety of industries. With specific domain expertise in developing global programs for revenue generation, pricing optimization, expense management and profitability measurement, Snehal’s career has included roles as Managing Director, Strategic Engagement for Acorn Systems, and following the acquisition of Acorn Systems by Ignite, serving as Ignite’s SVP for Global Professional Services. Snehal studied economics and international relations at the University of Pennsylvania. In addition to his Ignite responsibilities, Snehal serves as a Member of the Board of Directors at BKV Memorial Foundation, a non-profit focused on South Asian cancer awareness, and is a Co-Founder of Scratchadelphia Academy, a non-profit kids DJ academy in the Philadelphia area.